* Release party is from 8-10pm on December 1st, on this thread in the MFT Splitcoast Member Company Forum. * The December Guest Designer Contest is still open, but entries will close TOMORROW on Tuesday, November 30th at 10 PM EST. The winner will be announced at the release party. * Teasers will run daily through Wednesday, December 1st. Be sure to check my blog at 11:00am for links to designers previewing each day. Every day there will be a prize hidden on two of the Creative Team’s blog posts. Leaving a comment on every designer’s blog post will give you the best chance of winning every day This month, each day, 2 winners (one from each prize blog) will be sent a $10 gift voucher! Be sure to check back on Kim's blog to see if you have won! 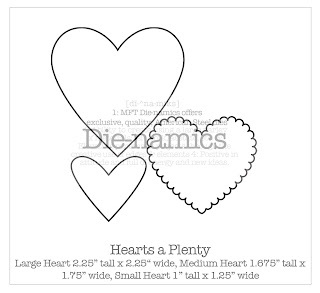 Today, I am showing you a card made with Heartfelt. She is darling and I really wanted to keep her the focus. So this is a white card with a hint of color. I really like making cards like this every once in a while. I started with stamping the image on MFT White Perfect Panels with Black Momento ink. I colored her in using Copics and I cut out and popped up the heart she is holding. 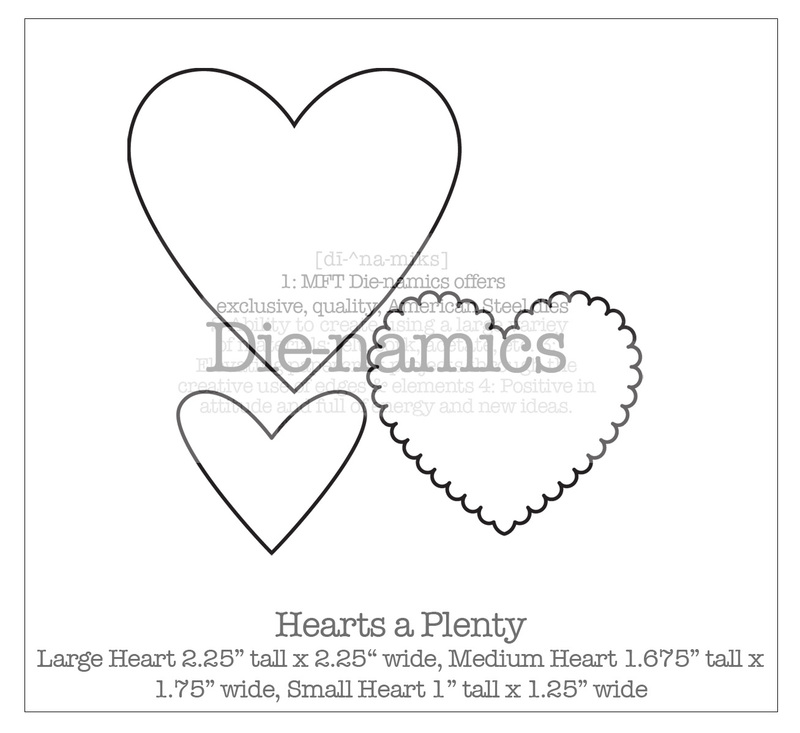 (It's hard to tell in the picture) I used my Nestie die to cut out the image while using the awesome new MFT Hearts a plenty Die-namic die for an accent on the bottom which is also popped up. LOVE this new die!! I added some green crystals, popped up the sentiment, and placed some gingham ribbon to finish off the card. I did draw in a little "xox" along the bottom corners to match her cute little jacket. Be sure to check out Kim's Blog for the awesome list of designer blogs to take a peek at!! Have a wonderful day!! * Release party is from 8-10pm on December 1st, at the Member Company Forum on SCS. * The December Guest Designer Contest begins today and ends on Tuesday, November 30nd at 10 PM EST. The winner will be announced at the release party. * Teasers will run daily through Wednesday, December 1st. Be sure to check my blog at 11:00am for links to designers previewing each day. Every day there will be a prize hidden on two of the Creative Team’s blog posts. Leaving a comment on every designer’s blog post will give you the best chance of winning every day This month, each day, 2 winners (one from each prize blog) will be sent a $10 gift voucher! Be sure to check back on Kim's blog each day to see if you are one of the lucky winners!! Isn't she cute?! For this card, I used some dp from Kaiser Craft, my labels nestie to cut out the image, and my MS loop border punch. For the image, I colored her in using Copics and actually used my purples for her dress!! lol!! I don't normally use that color, but it worked wonderfully with the dp. I wanted to give her dress a "marbled" look to match the marbled heart look the dp had. I think it looks better IRL!! : ) The rose was made using the MFT Die-namics rolled rose die and I added a pearl in the center to match the feel of the border. 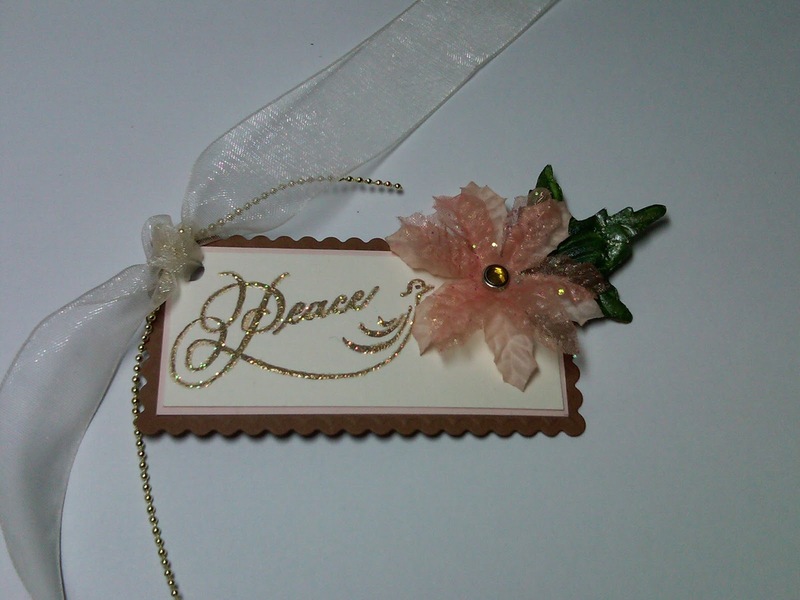 The lace ribbon is from HL while I finished off the card by popping up the image. I did finish the inside of the card with the sentiment placed there instead of the outside. I used the same dp and lace with the coordinating cs. That about sums it up for me today, but be sure to continue your tour of the fabulous creations the rest of the MFT Design Team has to show!! And don't forget to leave them some love for your chance to win!! Have a fabulous day!! It's day 2 of some fabulous sneak peeks of the upcoming MFT release on December 1!! You don't want to miss it! The MFT release is on December 1st at 10 PM EST. You can attend the release party from 8-10 PM EST here in the forum for fun, games, and prizes! All the new sets and dies will be available on December 1st at 10 PM EST. If you'd like to see all the teasers for today, please click on over to Kim's blog at 11 AM EST. Be sure to leave comments as you go for a chance to win one of 2 $10 Gift Vouchers being given away daily, just for leaving a comment. :) Check Kim's blog every day for the winners. I have two sneaky peek's to share with you. This firtst one is a new image from Flapper Doodles. These stamps are just the bees knees!! I love these stamps for the simplicity and the clean lines it showcases and I just know that this set will be the one I will grab to send out my New Year's cards! This set comes with 3 sentiments and the image. I wanted to keep the card a little Art Deco like with the straight lines and clean look. These girls needed to be on "stage" so I stamped them on the large Labels 2 Nestie and added some side panels for curtains. I trimmed off the top and used my MFT Die-namic open scallop border for the top curtains. What flapper girl would not be sparkly on New's Years? I added some glitter on each dress to coordinate the colors. I used ribbon from MFT's ribbon collection which I then used some crystal accents for the top and bottom. The DP used is from American Crafts and I finished off the card by popping up the image and adding more crystals to the top curtain and curtain "tie backs." Included with this card is a lot of stitching! But that is the Guest Designer Challenge in the MFT Forum at SCS; to get all stitched up! I colored in Flopsey with my Copics and cut him out. Basic Grey's dp Jovial was used while I used some MFT Twill ribbon and awesome Snowflake Die-namics to complete the look. The image is popped up and the bottom portion is a MS punch. I have been having so much fun playing along with this group of talented ladies! Please be sure to check out the creations of the rest of the Design Team! If you are not sure who, check out Kim's blog for the list of gals participating!! I will be back tomorrow with more peeks!! Thanks so much for stopping by and leaving some love! It's time for December MFT Sneak Peeks! Happy Saturday everyone! I hope you all had a wonderful Thanksgiving and have found some great deals! But don't shop til you drop just yet, as MFT has its December release coming up soon!! The next few days I will show you, along with the talented Design Team, what darling stamps are going to be released! To show you a little of what is in store, I am starting the peeks off with a new set called, You give me wings. Isn't she just adorable?! I stamped her with Momento black and colored her in with Copics. I stamped her wings off twice, cut it out, and then popped it up for some dimension. To finish the image, I added some sparkle by placing Stickles on the wings and using my yellow Copic Spica pen, outlined her hair for a little glitz! I cut out the image using my square scalloped nesties, layered on some Kraft cs to match the base. The dp is from Lizzie Anne. I cut out the flowers using MFT's Die-namic flower trio which I added an eyelet through the middle and then tied a bow with some bakers twine. To finish off the card, I added some self adhesive rhinestones on the corners of the image and under the sentiment, popped up the image, and placed some lace ribbon from The Ribbon Store (notimetostamp) across. The sentiment is stamped directly on the dp. Well that about sums up my card today! Be sure to check out the Design Team's creations and stay tuned for all the wonderful sneak peeks from all of us!! Have a wonderful day and thanks so much for stopping by!! I have a card today to share using MFT's Pure Innocence line. These are just the CUTEST! This one I used is called Presents for you. Oh Fudge! What a weekend! I was able to make a card for MFT's WSC on SCS for last week. The theme is Cooking Up Some Love-make something with food on it. For this card I used an old set by MFT that I can't remember the name of! I think it may be called Here's the Scoop, but I am not sure. I had taken it out of the package into a CD case and I didn't label it! (smack forehead here....) I used some SU! Pixie Pink cs and some unknown dp that was given to me for the back panels. I used my MS punch and SU! scallop punch for the edges. I colored in the image with Copics and cut it out to be popped up on a green oval punched out with my SU! Large oval punch. For a little texture fun, I used some mini white pom pom's I had and glued them along the side over a scrap piece of SU! Baja Breeze and finished it off with some ric rac ribbon along the bottom. The sentiment is is also popped up. That about wraps up this easy peasy card! Thanks so much for stopping by! It is appreciated! Thank you to all the Veterans currently serving, have served, and to those who have made the ultimate sacrafice. Please do not forget them and we hope you take the time to remember them! Happy Monday everyone! I hope you had a great weekend and did something wonderful! I had mentioned that the family and I were going to head to the mountains of NC, but we had to scratch that die to weather conditions. However, we did end up heading down to the beach and had our family photos taken. (Finally!! After 4 years... LOL!) It turned out to be a great weekend anyways! Today, I have a quick project that I whipped up this morning. I had to head out early and thought I could post this via mobile, but was having some technical difficulties, so I am posting this now. 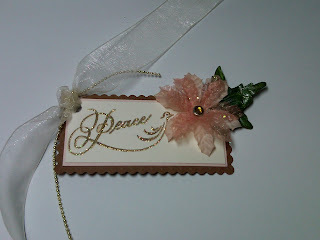 I have always loved the Peace set from Flourishes they released a few years ago. It is just so simple and elegant. In this set, the main image comes in both a large stamp and a smaller one. I used the smaller one for the tag. I stamped it in Momento Cocoa, then outlined it with my Quickie Glue pen. I then added some Antique Gold ep for sparkle. I used my long rectangle scallop Nesties for the back panel and cut to size some SU! Blush Blossom and VV for the main panels. I finished the tag off with some Prima Pointsetta flowers/leaf and a crystal brad in the center. For the tie, I used some cream sheer ribbon and gold beaded ribbon. Super simple and a touch of elegance!! I hope you all are gearing up for a great weekend- I know I am! The family and I are going to explore a little more of NC heading up to the mountains to hopefully see some beautiful changing of the leaves. It may be late for the peak time, but there is still plenty more to see! For this, I used some beautiful white embossed paper by Paper Studio that I had and just sponged a little color onto the flowers for a pop of color. I wanted to keep this very simple with not a lot going on since this was going to be something that will be in my purse. The embossed paper covered some light chipboard which made the front and back of the file and I completed the closure by doing the same thing, although covering cardstock. The closure on Maria's blog tucks into the file, but I chose to use some velcro instead. I added some ribbon for a pen holder to accomodate a mini pen which you can find everywhere these days. I made the size to accomodate the fatter barrel pens such as RSVP's or something comparable. The paper is some post it notes which I cut in half to fit perfectly into this space. It is not a complete pad of Post its, but maybe an 1/8th of it. I secured it with some removable double sided tape. I finshed the project off by adding some tabs which I punched out using my SU! Tab punch and I will label them later. After I organize a bit! This was a fun project to do and I hope you enjoyed it!!! Thanks so much for stopping by and taking a peek and I hope you have a great weekend!!! To start off my return, I would like to share a card using some stamps from The Cat's Pajamas. I just adore them and this new artist.... fabulous! I also used this week's Mojo Monday's sketch 163. I used SU! Kraft and Real Red as my base and Basic Grey's Cupcake dp collection. I colored in the main image with Copics. Instead of a bow and ribbon, I used some oversized ric rack ribbon and some buttons laced in with both some basic cotton twine and brown bakers twine. I popped up the image and sentiment. Once again, I did not take a picture of the inside, but I did finish that and added the sentiment from this set that says, "Hope your birthday is as fabulous as me!" LOL!! I just love it! Well, that about wraps today's creation up! I hope you enjoyed it and thanks so much for stopping by!! It is always appreciated! !